The Cambridge (Mass.) Health Alliance, a Harvard-affiliated public healthcare system, has promoted Gerald Steinberg to the position of chief medical officer. Steinberg, whose age was unavailable, started at Cambridge Health in 2005 as chief medical quality officer and senior medical director. In a news release, Cambridge Health CEO Dennis Keefe said Steinberg's leadership will be instrumental as the system adopts a new business model and transitions into an accountable care organization. 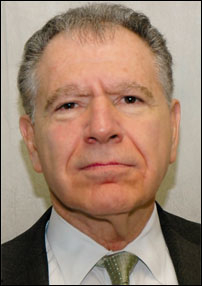 Steinberg previously worked as the senior vice president, CMO and chief quality officer at UMass Memorial Health Care.